I just wanted to share a South Park interactive fan game I made in Flash. I wouldn't exactly call it a game, but an animated interaction. Roll over the characters to see them talk and move. There are currently four scenes (the town, the bus stop, the school and Cartman's house) and characters include Cartman, Kenny, Kyle, Stan, Chef, Wendy, Mr. Garrison, Mr. Mackey, Mr. Hankey, Butters, Tweek, Ike, Towelie and seven hidden others. If people like it I will continue to build on it, adding new scenes and characters. So please check it out on Newgrounds! That's cool! Some of the scenes surprised me because I wasn't expecting it to be part of the interaction! I saw only several qualitative games related to SP. The best is SP The stick of Truth =)) but your game look like a short film with gameplay elements. 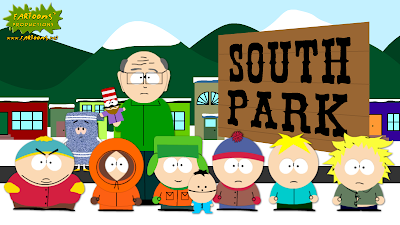 Also I have seen south park slot for online gamblers. I wonder, who decided to create this and for what? Last edited by Blackybro on Thu Nov 16, 2017 3:09 pm, edited 1 time in total. What do you mean 'who decided to create this and for what'?